(NaturalNews) For decades, some natural health advocates have claimed you could actually enhance and improve vision (and sometimes get rid of your glasses) by “training” your eyes to see better. Sound like impossible pie-in-the-sky promises or even quackery? Now there’s mainstream scientific evidence to back up the idea that you can have better sight through eye “exercise”. Research funded by a $3.5 million grant from the National Institute on Aging has just demonstrated that elderly adults can quickly improve their vision with perceptual training. The study, “Perceptual learning, aging, and improved visual performance in early stages of visual processing,” was published in the online November issue of the Journal of Vision. 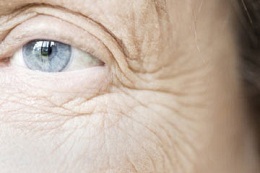 According to the research team from the University of California, Riverside (UCR) and Boston University, the ability of elders to improve their sight so quickly has a host of important implications for the health and mobility of older people. Changes in vision — including contrast sensitivity, spatial vision, orientation, depth perception, dark adaptation, visual acuity, and motion perception — have long been associated with aging. However, the new study shows for the first that specific eye “exercises” can improve vision among the elderly in the earliest levels of visual processing. G. John Andersen, professor of psychology at UCR, and his colleagues conducted a series of experiments to investigate if repeated performance of certain visual tasks that are at the limits of what a person can see would result in improving the vision of elder adults. Specifically, participants (all over the age of 65) were given a texture discrimination exercise. The research subjects were presented with stimuli consisting of a letter embedded in the center of a field of horizontally oriented lines.Besides the letter, peripherally located lines were placed diagonally to form either a vertical or horizontal object which always appeared in the same quadrant. After the research participants were shown this image, it was quickly followed with the display of a masking pattern. The task for the people in the study was to concentrate on seeing the central letter as well the peripheral object. “We found that just two days of training in one hour sessions with difficult stimuli resulted in older subjects seeing as well as younger college-age subjects,” chief researcher Andersen said in a media statement.”The improvement was maintained for up to three months and the results were dependent on the location in the visual field where the stimuli were located — suggesting that the brain changed in early levels of the visual cortex.” The visual cortex is the part of the brain responsible for processing visual information. Improvements in vision couldn’t be explained by simply becoming familiar with the task, the researchers determined. What’s more, the improved vision following the perceptual training was maintained for at least three months. This is especially important because it shows there is a high degree of brain plasticity among older people and it strongly suggests that this vision “training” technique is useful for reversing declines in vision due to normal aging. “Given the clear impact of age-related declines in vision on driving, mobility, and falls, the present study suggests that perceptual learning may be a useful tool for improving the health and well-being of an older population,” the researchers concluded.